A huge unification fight between Anthony Joshua and Joseph Parker seems to be close to being finalised. It is rumoured that Joseph Parker’s Manager & Promoter David Higgins is currently on a flight from New Zealand to the UK to finalise the deal with Matchroom Boxing’s Eddie Hearn. This would be the first unification between two Heavyweights since Vladimir Klitschko and David Haye fought in 2011. Joshua’s WBA Super & IBF titles will be on the line as well as Parker’s WBO title, the fight is rumour to be at Cardiff’s Principality Stadium. Which gives the promoters flexibility on dates as it has a roof to protect fans and fighters from the elements. 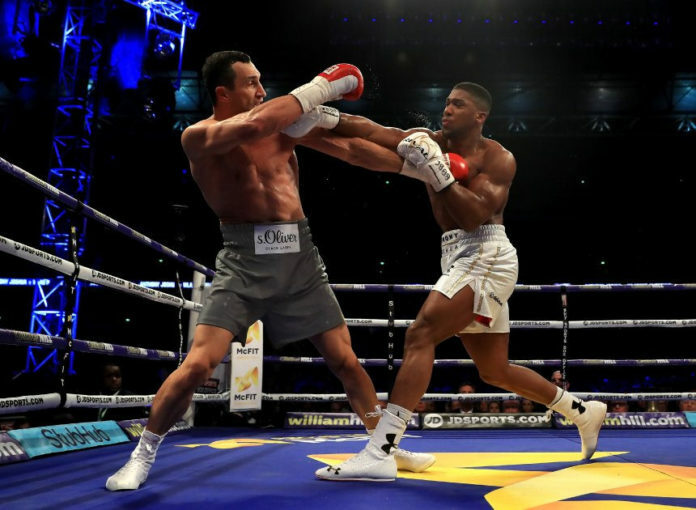 80,000 fans packed into the Principality Stadium to watch Joshua stop Carlos Takam in October last year. A unification of this size could easily outsell that event and will most likely become the biggest ever indoor arena sporting event in UK history. At Viribus we are very much hoping this gets over the line.